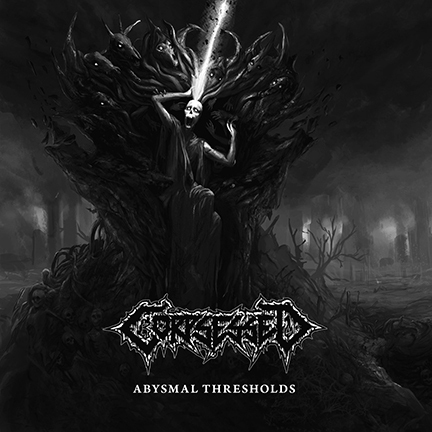 Dark Descent Records will unleash hell upon Earth in the form of Abysmal Thresholds, the full-length debut from Finland’s CORPSESSED. After terrorizing your ear drums with 2011’s The Dagger and the Chalice and 2012’s self-titled 7-inch, CORPSESSED are poised to thoroughly decimate what’s left of your auditory senses. 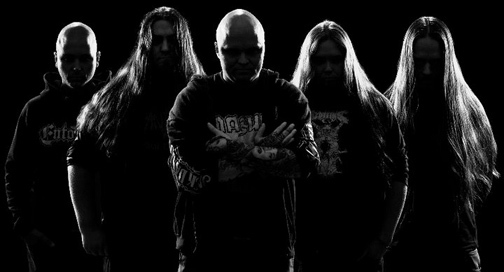 Abysmal Thresholds is over 47 minutes of Death Metal the way you’ve come to expect from this hard-hitting Finnish band. No fluff, no hyperbole…this is destined to be one of the best albums of 2014, without a doubt. Abysmal Thresholds is set for release on February 4th. Pre-orders are being taken now at: www.darkdescentrecords.com. 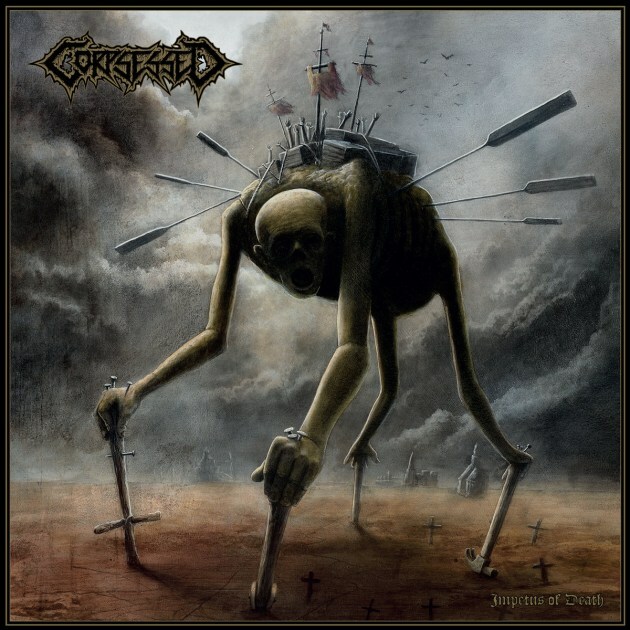 Corpsessed was spawned from putrescent slime in 2007. 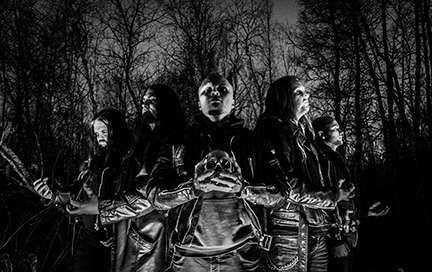 Vocalist Niko Matilainen, guitarist Matti Mäkelä and drummer Jussi-Pekka Manner were joined by guitarist Jyri Lustig and (de)composing of morbid Death Metal tunes began at the rotting houses of Järvenpää delta-area. The group’s original bass player, Mikko Mäkelä, disappeared in unknown circumstances and was replaced later in 2009 by Mikko Pöllä. Corpsessed’s first EP The Dagger & The Chalice was released on CD by Dark Descent Records (USA) in May 2011. The vinyl version released by Me Saco Un Ojo (UK) in co-operation with Dark Descent (USA) in October 2011. 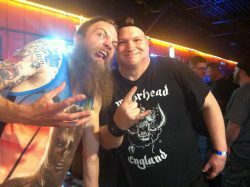 That release was followed up by a two-track, self-titled 7-inch EP in 2012. 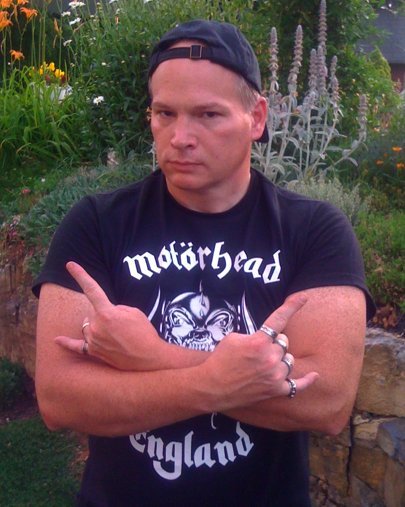 The band recently completed work on their debut full-length album, Abysmal Thresholds.